OET specializes in providing a wide variety of geophysical mapping services to our clients, covering terrestrial, marine, and fresh water environments. Geophysical surveys provide rapid, non-invasive and cost-effective methods with which to evaluate the subsurface characteristics of a specific project site. We use a combination of different techniques to provide our clients with the most detailed and comprehensive geologic investigations possible. Our geologists utilize Multi-Electrode Electrical Resistivity (MER) and Multi-Channel Analysis of Surface Waves (MASW) in terrestrial environments to map subsurface soil densities, porosity, depth to rock, stratigraphic variability of overburden, fractures, void spaces, sinkhole activity, the presence and quality of groundwater, and a multitude of other geologic features and behaviors. These types of features can also be mapped in fresh water and marine environments using MER and/or our Continuous Resistivity Profiling (CRP) system, which allows us to continuously collect geologic data while towing electrodes along the water surface. 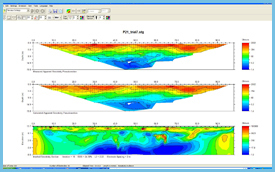 We also implement sub-bottom profiling to provide an alternative method of mapping underwater geologic conditions and lithologic characteristics. We incorporate geophysical surveys into the majority of our projects, ranging from geotechnical investigations to environmental impact assessments. The surveys are typically followed by more traditional drilling methods and field sampling in order to ground-truth the geophysical data. Some of the applications in which we have utilized our geophysical instruments include sinkhole investigations, dredging projects, mining applications, water supply development, and coastal engineering projects. 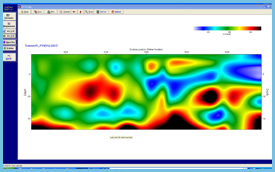 We are the leading experts in the use of electrical resistivity to characterize the geology of a project site. Our geophysical mapping services have been used throughout the United States as well as in the Caribbean and Central America. By combining different methods, we are able to investigate subsurface conditions in virtually any type of terrain or aquatic environment.